You don’t need to be an expert in order to start your own little project and make some little masterpieces from all the scrap wood you’ve hoarded over the years. We’re going to go through some simple scrap wood projects that you can easily complete at home with minimum skill and knowledge of joinery. What’s more simple than a little mail organizer you can hang in the hallway of you’re home and neatly present all the mail you get coming through the door on the daily. This beautiful organizer will require a minimum amount of scrap wood and will come together in a matter of hours. This one is a little more complicated but should still be able to be completed by someone who is not an expert. With a little dedication and time, you’ll master this spice rack in hours and can add it to any counter or wall in your home. Fibreboard – this is made from the breaking down of both hard and soft kinds of wood into small fibers which are then bonded together with wax, resin and heat. MDF – this is very similar to Fibreboard but it has a medium density. MDF is surprisingly strong and there is a lot of furniture that is made from MDF. Chipboard – this is a manufactured wood that is made up of wood chips and shavings which is then bonded together with resin. Plywood – this is a very strong manufactured wood that is made up of layers of wood veneers which are bonded together to produce a flat and smooth sheet of wood. Veneer – this refers to a thin layer of wood that comes from the circumference of a tree. It is bonded together with MDF, chipboard create a dense piece of wood. Beech – this is a very hard, strong and heavy wood. It features a fine and tight texture. Beechwood has a very high shock resistance and is light in colour. Ash – this is also a very touch wood which is known for its ability to bend. This allows it to be used to make furniture that features curves. Oak – this is a very popular wood for people, it is hard wearing and heavy. It also has a lovely grain texture. Mahogany – this is a very expensive hardwood that can come in different colours from medium brown to a deep red-brown. Maple – this is a more durable and heavy type of wood. As it is so strong and moisture resistant it will withstand years of wear and tear. Pine – this type of wood is very affordable and lightweight with a pale finish which is great for staining. It’s less durable compared to other woods but still does the job. Walnut – this is a hardwood which is well known for its strength and rich chocolate brown colour. 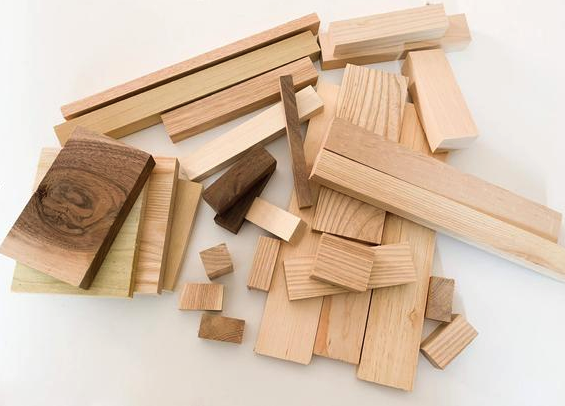 All the types of wood that are listed above are great pieces to use in your scrap wood projects and will allow you to create some beautiful pieces for your home. Toys these days are made from cheap plastic that wouldn’t last long once your child has hold of it. Wooden toys are a great way to keep your children happy as well as have a toy that can withstand a beating here and there. 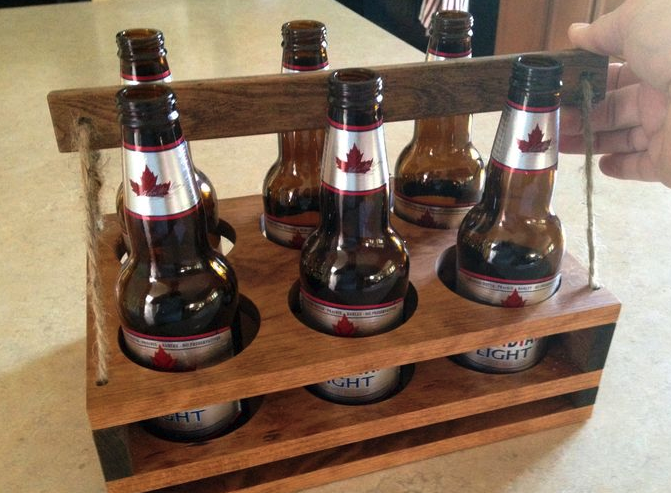 It’s time to start getting creative and putting your woodwork skills to the test. Coat racks are a great little piece to have in your hallway and clear all the clutter of coats being hung on your banister. This will take a little more skill and time but the overall outcome of your product will be worth it. Wooden picture frames are super easy to make and can be easily presented in your home and will become unique decoration. With minimal resources needed you can craft a picture frame in less than an hour and move it on for some easy money. Wooden furniture is always a great piece that people want in their home, whether it’s something small like a stool or something larger such as a chair. Wooden furniture is a great woodworking project to work on and sell on for some money. Create yourself a rustic looking birdhouse from all the scrap wood you have sitting around. With only a small amount of wood and skill being needed to make a birdhouse this little project won’t set you back much time. Wine racks, what a lovely addition to add to your home. They’re not only sturdy when being made from wood but look amazing in your home. Wine racks are nor expensive or a difficult piece to make and can either be kept for personal use or sold on for a little profit. Dog beds come in all different shapes and sizes and can usually be expensive. With all your leftover scrap wood you can easily put together a tidy little dog bed for your pet and have it anywhere in your home. Very similar to coat hangers but on a much smaller scale, coffee cup holders are perfect little pieces to make for your kitchen. These are desirable kitchen accessories and can be moved on quickly for a small profit. It’s going to be a larger scale project that you’re taking on but the results will be worth it. Made from wood you can take care to attention and detail when making a headboard giving it that unique look. If you’re wanting to make sure your work is perfect then making cut lines is essential. Using a pencil and ruler draw lines on the wood where you are wanting to cut. This makes it easier when cutting wood rather than just guessing and potentially messing your whole project up. Precision is key when you’re getting into woodworking and making cut lines is going to help you achieve that. Not every hole that you’re making in your material of choice needs to go all the way through. Setting up a stop so that your drill doesn’t go through the whole material is easy enough and takes a few seconds. Simply, use a piece of tape and wrap it around the drill bit at the depth you want to go and then start drilling. See, as simple as that! Whereas glue is an amazing tool to use when doing all your woodwork it can sometimes become a bit messy and go to places you didn’t intend it to go. A simple yet effective trick to remove the excess glue is spreading sawdust on the glue and using a cloth to rub it off. Another trick which is also effective is using a damp clothing but this can lead to moisture soaking into the wood which is not great for your wood. Sandpaper comes in all different shapes and sizes so it would be easy to get your sandpaper pieces mixed up. The best way we advise to keep your sandpaper collection in order is to grab your self a cheap binder and put them all into an order of grit number. Now you’ve got all your sandpaper in one place and the click of a finger. Something so simple yet so effective, this beautiful bottle rack is perfect for a party or to transport your empty bottles to the recycling bin at your home. This beautiful bed would take a lot of effort, time and dedication to achieve the high standard this bed is. 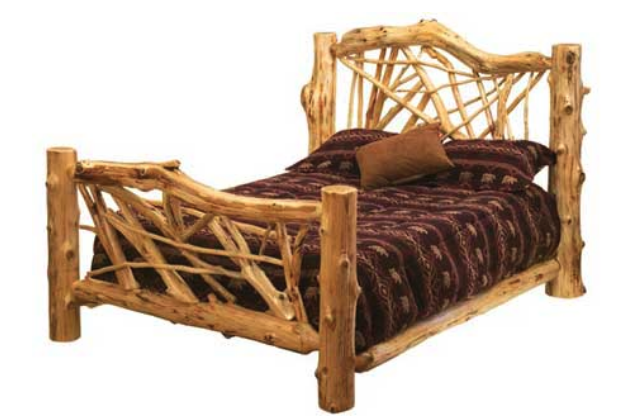 With a completely unique design and natural look, this bed is ensured to become a focal point of your home interior. The Rocking Horse is an absolute classic! 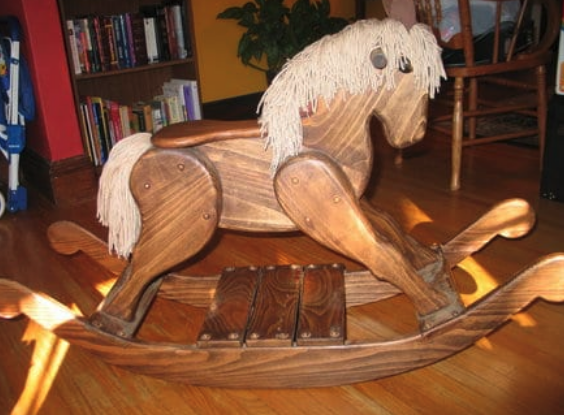 The rocking horse can not only be used as a toy for the kids to play around on but it’s an ornament in its self. With a lot of skill and effort required to make this rocking horse, you will become a master of woodwork once completing this. 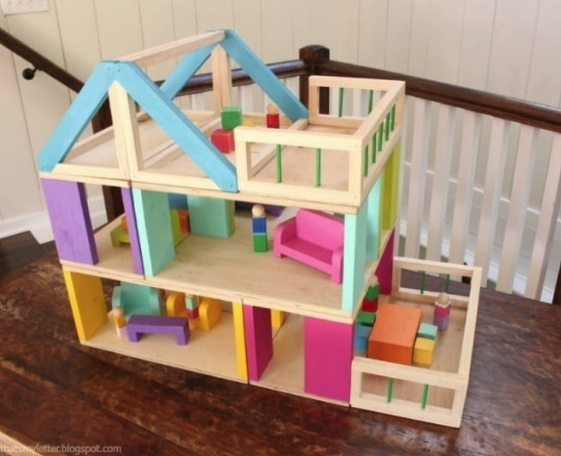 A dollhouse is a perfect addition if you have young children. As well as keeping them entertained you can test your woodworking skills in building one yourself. This dollhouse would take some time to build but the outcome is worth the effort 100%. There is a whole world of woodworking projects that you can take the time to complete but the ones above are some of our favorites. Let your imagination run wild and let’s start creating together. 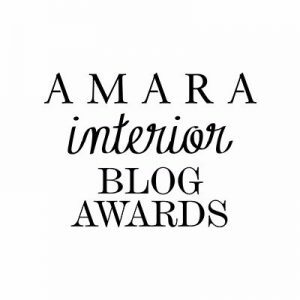 For more ideas on how to bring your home interior to life, check out our Blog on Great Ideas That Brings The Garden Indoors. « Who Is Alison Moore? Hello! My name is Allison, and I’m a garden enthusiast! (More specifically guerrilla gardening!). I love seeing all sorts of creative designs revolving around nature (as well as home decor! 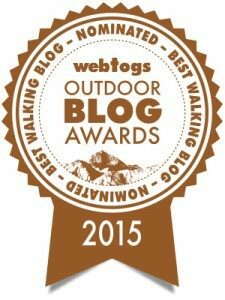 ), and this is my blog where I show off my favorites!